We all love our dogs. My dog is called Bonnie. 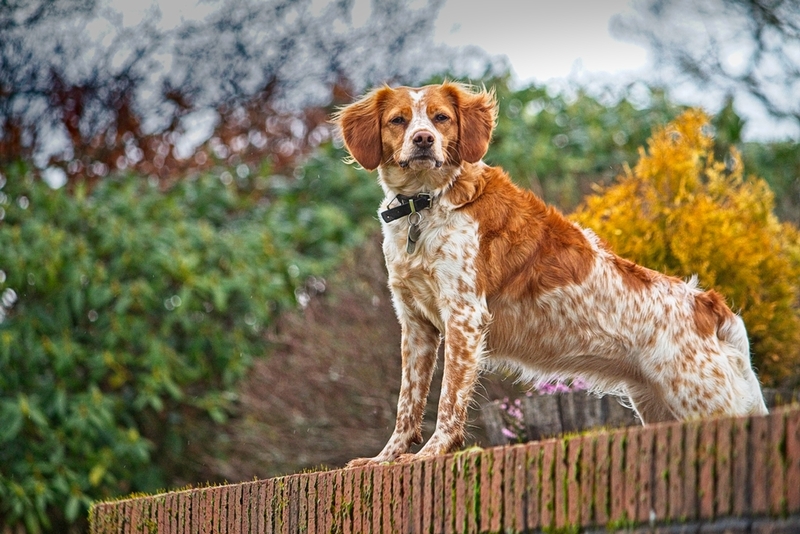 She’s the Brittany Spaniel in the photo above. We have this photo hanging in our kitchen as a big wall portrait. The kitchen is Bonnie’s main room in the house so we get lots of admiring comments from friends and family. For many of us, the photo has become an instant sharing experience on social media. Life has become a “Gosh that’s a lovely photo” experience so we end up with a stack of photos on the cloud that we may browse occasionally but mostly the photos are really forgotten. Generally we don’t print photos any more. Printing big photos has never been a thing that many people do. You might have thought of ordering a big canvas from an offer only to be disappointed when the image comes back a bit soft and the colours aren’t as you expected. There’s an art to printing large photographs. To do it properly, you need to correctly size and sharpen the image for print. It can end up being an expensive mistake if you’r not sure what you’re doing. No matter how many photos you have on your phone, the one that really matters is the really nice wall portrait of your furry friend. Taking a sitting portrait is relatively easy using your phone if your dog is reasonably obedient. The exception here is black dogs. Taking action photos is much more difficult although with the right camera, lenses and a bit of practice most people will manage. If you want to choose a fabulous wall portrait image for your dog let me help you. Dog portraits are challenging but fun. If you like the thought of having your own dog portraits, then you’ve come to the right place. I'll be posting regularly with tips on dog photography. If you'd like to be notified when a new post is available just fill in the form.